The ACE program is an accelerated BSN program for individuals already holding a BS/BA in any field from an accredited college or university who wish to enter the nursing profession. The intensive program allows qualified individuals to complete the nursing coursework in 12 consecutive months. The Bureau of Labor Statistics predicts by year 2012, one million more registered nurses will be needed in the United States. An analysis of nursing workforce needs at the state level indicates that Connecticut will be one of the states that will experience the worst shortages unless actions are taken to remedy the situation. In fact, the Health Resources and Services Administration (HRSA) projects that by 2010, Connecticut nursing workforce will be 33% short of what is needed and by 2020 that number will increase to 57% (Connecticut League for Nursing, 2005). In order to meet this demand, many colleges and universities across the nation have developed accelerated BSN programs for students with baccalaureate degrees in other fields to increase access for people desiring a change in career later in life, and allow faster entry into the workforce. In fact, according to the American Association of Colleges of Nursing (2005) there are 168 accelerated BSN programs in existence, with 46 more in the planning stages. 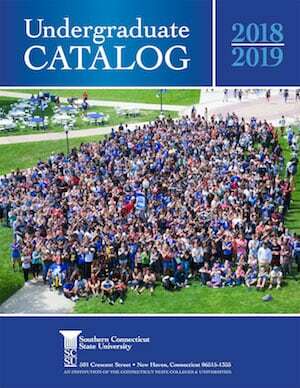 While Connecticut has several of these programs, none are located within the state university system, limiting program choice options for students who want a quality program at a reasonable price. The undergraduate nursing program at SCSU is recognized as a high quality program. Our NCLEX pass rates have been mostly between 90-100% over nearly three decades and employers readily hire and confirm the quality of our new graduates. Many curricular changes have been implemented during the last several years to improve the quality of our instruction and better prepare students for the realities of practice. The nursing curriculum can be completed in just 12 months (excluding nursing prerequisites). The ACE program is based on the same curriculum as SCSU's highly successful and nationally accredited traditional nursing program. There are opportunities to learn with other highly motivated, adult learners with rich life and work experiences. We offer small class size and affordable tuition. Our faculty are dedicated to working with this unique population. The application period for the 2020-2021 ACE Cohort is open as of April 16th, 2019. We will stop accepting new applications on October 1, 2019. Please continue reading below for additional information. Complete the Transfer Application by creating a new account ('Sign Up'). Select the Summer 2020 term for the ACE Nursing program. Follow the indicated steps and submit the application. Only submitted applications by October 1, 2019 are considered. 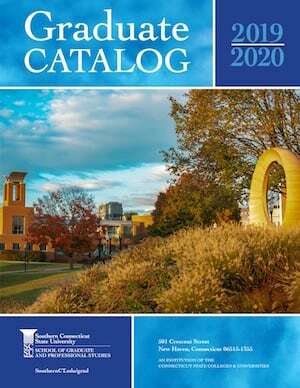 Summer 2020 applicants are not required to have a completed essay or completed all the prerequisites by October 1. Applicants may be in the process of completing final prerequisites during the Fall 2019 semester. However, all prerequisites must be complete with a C+ or greater by the conclusion of the Fall 2019 semester (December) and proper documentation must be provided by January 2, 2020. CLEP examination and AP scores must be received by the UG Admissions Office by January 2, 2020. There is a required essay portion of the application, and applicants must also complete the Checklist and Prerequisite Form. Failure to upload and submit your essay and Checklist Form will result in an incomplete application. This is due by January 2, 2020. Official transcripts from ALL post-secondary schools attended MUST be sent to the Undergraduate Admissions Office by January 2, 2020. High School transcripts and SAT/ACT scores are not required. Resumes and recommendation/reference letters will not be accepted. DO NOT complete a Graduate Program application. This is an Undergraduate Program. Students may not apply to both the ACE and Traditional BSN program at the same time. Conferred BA/BS degree from a fully accredited academic institution (by October 1, 2019). December 2019 graduations will not be considered as eligible. Minimum cumulative GPA of 3.0 (including all post-secondary GPA's from fully accredited schools attended). Essay completion and submission to your online application portal. Essay criteria can be found in the Welcome Letter once your application has been submitted. Completion of the required prerequisites, outlined below, with a C+ or greater (by the end of Fall 2019). Official transcripts must be submitted to the Undergraduate Admissions Office (no later than January 2, 2020). Any outstanding or incomplete items after the Fall 2019 semester will result in an incomplete application and will not be considered for admission. All prerequisites must be complete with a C+ or greater however applicants are not allowed to have more than 2 repeated prerequisite courses due to an initial grade below a C+. Completion and submission of the ACE Checklist and Prerequisite Form to your online application portal. Southern CT State University has an agreement with Eastern CT State University for the ACE program. The items outlined in this agreement are only applicable to matriculated ECSU students who are earning their first undergraduate degree. With only 30-36 students being accepted into the program each year, admission is competitive and qualified students may not be accepted because of limited Department of Nursing resources and clinical placements. The Department of Nursing admission committee members will evaluate the overall academic record and select candidates whose academic qualifications present the greatest potential for program success. We cannot accept applications from applicants who have been dismissed from other nursing programs. If you have been previously enrolled in another nursing program should complete the Disclosure Form as part of their application. Beginning in the next application cycle (Cohort 2020-2021), applicants will not be allowed to apply if they have more than 2 earned grades lower than a C+ for any of the required nursing prerequisite courses. Students applying to the ACE program should understand that, if accepted, they will need to follow the ACE program's plan of study and required course sequencing. Accepted students are required to adhere to clinical health requirements, department policies and procedures, maintain health insurance, and more. Students are advised to refer to the Student Policies Governing Academic and Professional Responsibilities of Undergraduate Programs in Nursing (2017). SCSU does not have a limit on the number of credits that you may transfer into the university. The university currently does not have an expiration date on any of the below required prerequisites. If you have taken courses at another college or university within the state of Connecticut, please use the Transfer Articulation Request Tool to search for course equivalencies from most CT colleges and universities. Beginning in the next application cycle (Cohort 2020-2021), applicants will not be allowed to apply if they have more than 2 earned grades lower than a C+ for any of the required nursing prerequisite courses. If you are interested in both the traditional BSN and ACE programs, you may be interested in comparing the two. For further information contact the Nursing Department.